California Highway Patrol Officer Andrew Camilleri lived a life of faith and service in his hometown of Tracy. Not long ago he fulfilled a dream to become a CHP officer. Tragically, Camilleri died while on duty Christmas Eve in Hayward, while patrolling the highway against drunk drivers. Friends say he was supposed to be home the next morning with his family for Christmas. But he was killed, allegedly by a driver who was drunk and high. 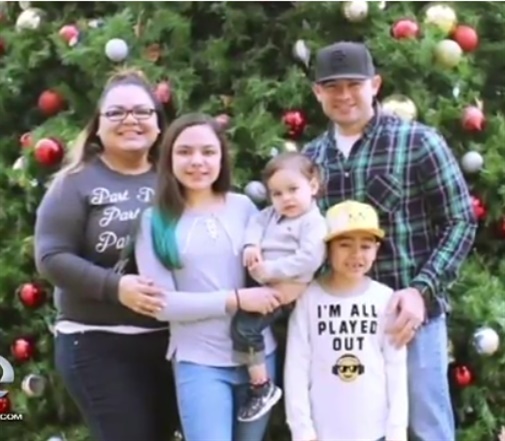 Friends told KTVU his wife waited until after their three children opened their Christmas presents to tell them their 33-year-old dad was killed in an accident. Camilleri was parked on the shoulder of southbound Interstate 880 for the CHP’s “maximum enforcement period,” on Christmas Eve, trying to protect the public from drunk drivers, when his SUV was hit. The CHP says the driver of the car, a 22-year-old man from Hayward, was under the influence of alcohol and drugs. Camilleri’s partner, who was in the driver’s seat of the cruiser, survived.